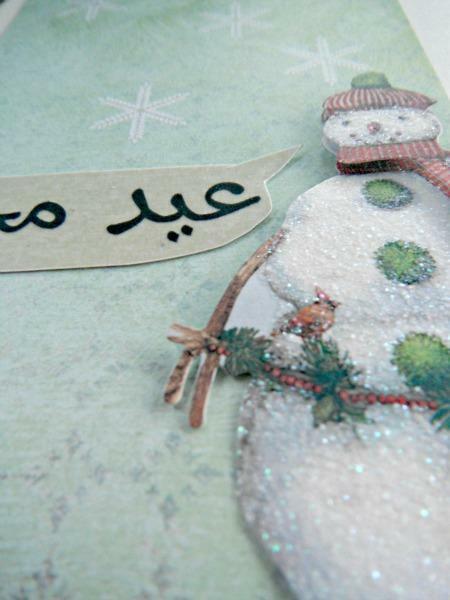 This Arabic Merry Christmas card comes with a snowflake background and a snowman sticker on top. The snowman is created out of several layers for a 3D effect. He is looking at two little bird friends that are perched on his belt. The snowman is saying "Eid Majid" which means Merry Christmas in Arabic.